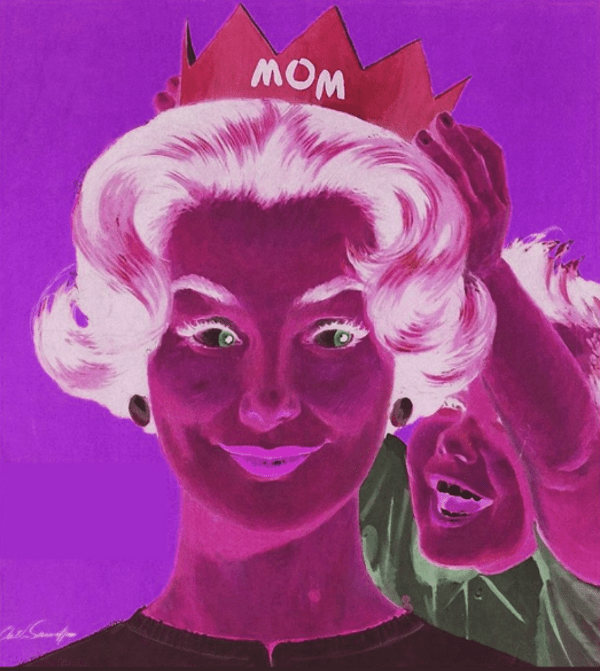 More MGTOW Mother’s Day thoughts, this time from the Men Going Their Own Way subreddit. So, happy Bitter MGTOW Day, I guess? Scildfreja: I applaud you, those are wonderful! – A copy of “The Last Unicorn”, which I unfortunately haven’t read yet. – Some various scraps of cloth I’m going to use for making doll clothes and accessories. – And a Monster High doll that I dug out of a pile of naked dolls in said Goodwill that is very likely from their first run of the dolls, before the official Wave 1 came out, and Jackie and I are both excited for this prospect. Frankie didn’t come with clothes or anything, and I’m going to have to wash her hair (I already brushed her because her hair was a knotted mess from being tossed on a dark shelf in a Goodwill toy section under a pile of naked Barbies), but this is a super cool find, even if it isn’t worth much, it still makes me happy I found such an interesting doll! But… I don’t get it. How can you just KNOW the WHOLE MAP? I hope I’m not perpetuating any stereotypes but I had a worryingly similar conversation with someone from the US military once. If you ever buy a tattoo gun please give me a yell. It really sounds like this man may dislike himself enough to wish he was never born. It would bet money that this individual was abused by his mother. I rarely hear anyone malign their parents this way if they were not abused. Um. Let’s not speculate on that. We celebrate our Mother’s Day, or Mothering Sunday in March. I took my mum out for a meal. She has Parkinson’s and I look after her. I left Facebook three years ago because I was targeted by haters who said my mum should die because she is a burden on society and recieved benefit!! Don’t know if this is of any use to you. Basically there was a petition to get a news reporter over here sacked because of her perceived criticism of a politician. Turned into the usual misogynisitc ranting. But now the petition has been taken down. I will now self-indulgently reply to the praise and flattery, ’cause it’s what I do. @epitome of incomprehensibility, thank you! All three are characters I cooked up for stories and/or roleplaying games. The top one is a sci-fi dinosaur-ridin’ outlaw anti-hero, the second is Lidskjalf, a Rider of Rohan, and the bottom one is a half-elven exile from a friends’ homebrewed fantasy setting. They all have a bunch of stuff written about them… somewhere or other. Artistically, I’m probably most happy about the fact that I did the horse freehand and without reference, and it doesn’t look like a hairless dog. Detail on the last one is nice too. @Catalpa, I’m not actually good at art or science or rhetoric, but I’m good at pretending I’m good at them! And yeah, clothing is possibly the most entertaining part of designing characters, for me. @GenJones, that’s my favourite part to do; I can spend forever fiddling with little details. They aren’t quite symmetrical, which sometimes looks really bad, but in general it’s good for them to be a little different. Details stick out badly when they’re just mirrored and copied, after all, so I freehand them. @Alan, oh goodness, i don’t think I could ever be a tattoo artist. I hate causing people pain, even if they want it. Thank you though! I’ve considered getting a tattoo as well, but never settled on what I’d want to get. Thank you, @Katz and @Paradoxy! An infinity scarf is a scarf with six powerful gems set in it, right? Very late to things as usual! Husbeast and I had a wonderful time. Even though parking was a nightmare and navigating to it took nearly as long as it took to get there from our house, about 60 miles away, totally worth it! Someone mentioned parental abuse. Both my spouse and I grew up with an abusive mother (the spectrum of this is very wide). While his was neglectful, mine worked to service the patriarchy and sounded like an internet troll (which is SUPER weird in retrospect). If I hadn’t lived with her from 1972-1987, I would think she was a fake woman profile on the internet. But I see a huge issue with men not being able to recognize, address, process, seek help for parental abuse. 2. get beat up by a “girl”. When men whine that women *complain* about abuse, they could be triggered by their own inability to discuss their history of abuse. Because we women have been comparing notes and getting support online in a public way. Why is it ok to write “I hate children” or something about how terrible/restrictive/whatever mother hood on these forums?Or refer to kids in nasty terms like puke machines? Children and parenting may not be your cup of tea and that’s ok but there’s no need for the nastiness. This is a community which is very safe in its language and conscientious to be inclusive so why is it ok to insult an entire age range which we’ve all been once? Could you give some examples? I don`t recall seeing those types of insults? He’s got that right. Bet she’s ashamed. But not of herself.